With the increasing adoption of data science skills within organisations 1-1 personalisation is easy. So why does it still feel daunting? The problem is that the focus today is on advanced 1-1 personalisation and we’re missing a trick waiting for the perfect environment, the perfect models, to deliver this. Personalisation should be viewed as a spectrum of applications. From basic segmentation through to advanced machine learning algorithms there are always improvements that you can make today to optimise the experience. The granularity of personalisation ought to be selected relevant to business requirements and objectives. Highly sophisticated 1-1 personalisation can be potentially costly or deemed a longer term objective. The ideal approach is to take the data and business objective you have today and build a solution around that. With an over-abundance of seemingly non-actionable data, often sitting siloed across various departments. It can be difficult to link all these together to create a full 360 degree customer view. Look at quick wins by utilising what data you have available currently. Having only a partial view of a customer but being able to act on it now in effective ways is often better than waiting for the full end to end picture. Use machine learning techniques to start stitching those user ids together. PROBLEM: WHO TO PERSONALISE FOR? Audiences are increasingly demanding. In a recent econsultancy survey 74% of customers feel frustrated when website content is not personalised. However, there can be a fine line between relevant and ‘big brother’ style messaging. As you learn more about your customers more advanced clustering techniques can be used to group together users by multiple attributes. Often companies focus on demographic based personas however clustering based on behavioural data is by far more useful. The result is more dynamic segmentation that changes with your customers. A lot of time and money can be spent on personalisation strategies. It is important to measure the impact of personalisation, successful or unsuccessful. Knowing exactly what KPIs your personalisation efforts should be affecting is key; increasing repeat purchases for new users, increasing basket size, lowering customer churn. Keeping the goal simple and measurable will help drive success. Test & Learn. It’s unlikely you will get everything right first time. You can only work with the data you have today so look to enhance that data through a campaign testing framework. Keep going. 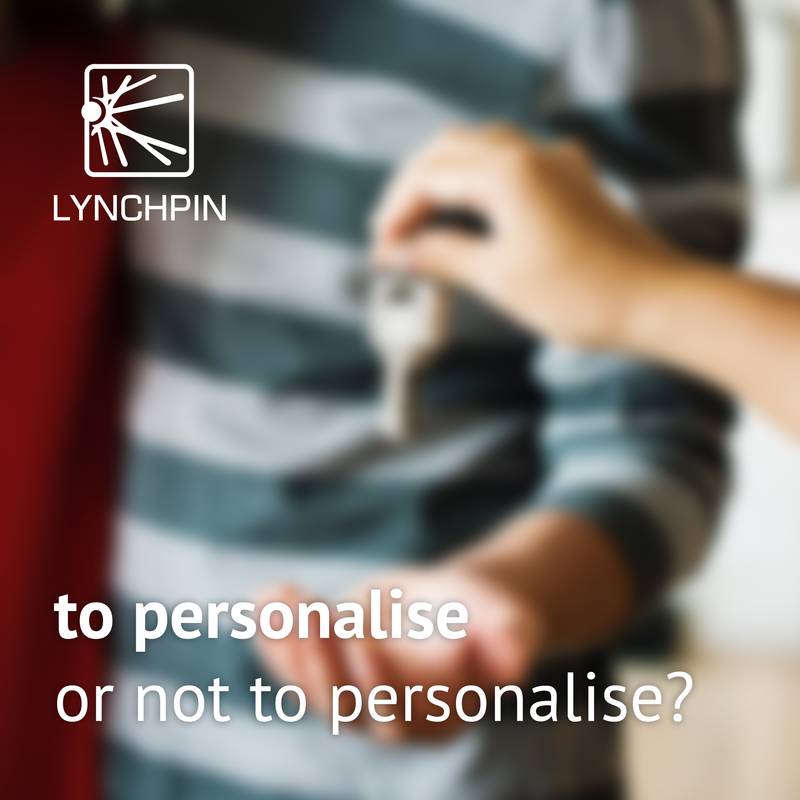 Personalisation is not about 1 approach. Rather it is a range of techniques that can be used depending on the business case. Calculate your customers Lifetime value and develop strategies for high versus low value customers. Overlay product recommendations. Using techniques such as market basket analysis or propensity modelling you can tailor online content, offer personalised promotions and develop new products based on your customers preferences. Achieving this ongoing goal of how to best personalise communications with your audience is tricky but can massively benefit both customers and retailers. It can deliver better experiences for your customers which in turn can improve KPIs – conversion rates, average order value, life time value, cross-sell and up-sell – and help differentiate your brand from the ocean of competitors.